(17/01/13) The Ministry of Commerce has confirmed today that product prices will not be increased for the first six months of this year, while saying that the 300-baht daily minimum wage hike cannot justify the price increase. Permanent Secretary for Commerce Vatchari Vimooktayon (วัชรี วิมุกตายน) said she assigned the Department of Internal Trade (DIT) to evaluate the general market prices before inviting business operators to discuss for approaches to help consumers reduce their living cost. Business operators have earlier affirmed that product prices will remain unchanged until this June; therefore, the DIT is confident that there will be no price hike within the next 3-5 months. Meanwhile, the period to pin product prices will be reviewed on a quarter basis. Ms Vatchari also stressed that the minimum wage hike policy and Liquefied petroleum gas price hike cannot justify product price rise, but the DIT will monitor the situation closely. She admitted that labour intensive businesses might be affected by the wage hike policy, but product price increase approval for such businesses will be considered thoroughly. 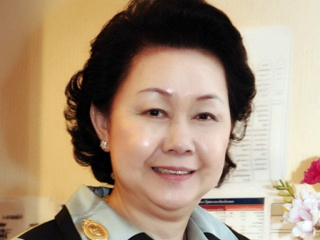 As for the current Thai baht appreciation, the permanent secretary said the Department of Foreign Trade has been tasked with assessing the situation together with the Office of the National Economics and Social Development Board while her ministry will consider how it can assist exporters.